“Today’s bipartisan vote by the House of Representatives to pass the Save the Internet Act reflects the overwhelming public consensus that strong net neutrality consumer protections are vital for the internet ecosystem and the digital economy. Millions of Americans have repeatedly told the FCC they want strong net neutrality protections and oversight of broadband providers, and polling consistently shows more than 80 percent of Democrats, Republicans, and Independents support the policies passed by the House today. “The Save the Internet Act is consistent with the Congressional Review Act Resolution that passed the Senate in 2018 with bipartisan support. The legislation restores the FCC’s carefully crafted and narrowly tailored 2015 Open Internet Order. 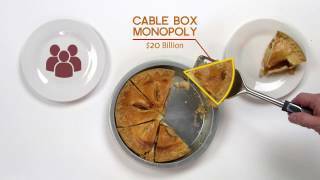 That Order prohibited discriminatory, anti-consumer, and anti-competitive conduct by broadband providers, including the three ‘bright line’ net neutrality rules: no blocking of lawful internet content, no throttling, and no paid prioritization. Congressional leaders of both parties support these ‘bright line’ rules, and the Save the Internet Act would enshrine these consumer protections in law and ensure large cable and telecom companies couldn’t lobby the FCC to thwart the will of the public. “Additionally, the Save the Internet Act also ensures the FCC has the tools it needs to promote broadband access and affordability so that all Americans can participate in the digital economy, and that broadband users are not subject to discriminatory or unjust or unreasonable behavior by broadband providers. H.R. 1644 ensures the FCC is the ‘cop on the beat’ to protect consumers online, promote competition, and make certain that the FCC can close the digital divide and make broadband accessible and affordable for all. “The internet is the essential communications platform for the 21st century and an essential tool for participation in the digital economy. 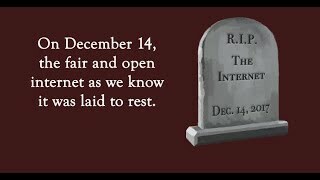 Once enacted, the Save the Internet Act will ensure that broadband users, not cable and telephone companies, drive the content that users can access online, and make certain that artists, content creators, journalists, political activists, candidates, and businesses will be able to reach audiences online without gatekeeper interference. For more information on Public Knowledge’s work to overturn the FCC’s 2017 repeal of net neutrality protections in court, you may also view our intervenors’ brief.